A State-Of-The-Art Veterinary Hospital Needs a Backup Power Plan! If you are already a Windmill Animal Hospital client, please rest assured that if Abilene gets a power outage during a thunderstorm or an ice storm. your pets will be kept safe and comfortable. 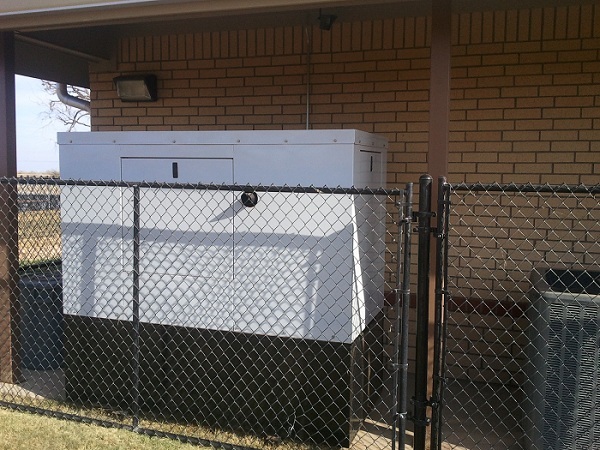 Like a state-of-the-art human hospital, Windmill Animal Hospital has a backup generator. 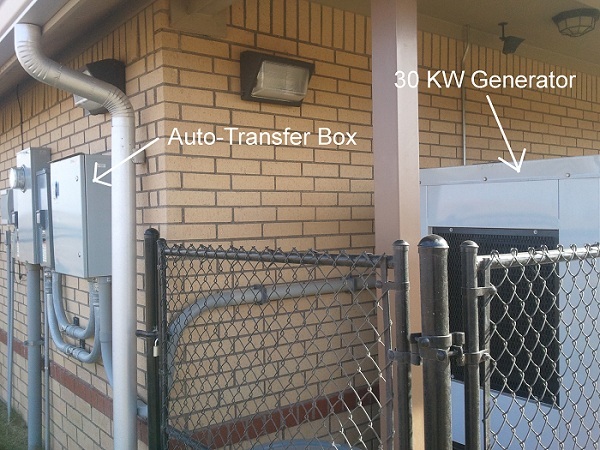 Our 30Kw Backup Generator automatically starts, and powers critical circuits in our hospital when Mother Nature knocks out the power to other vet clinics. Then, when the grid power is available again, the system automatically puts the hospital back on the grid, lets the generator cool down, then shuts down the generator, waiting for the next power outage! The Bottom Line: If your pet is boarding, or even more important, having surgery, and the power goes out for any length of time, your pet will remain safe and comfortable at Windmill Animal Hospital. waits for the next power outage.